Palm Beach County is home to beautiful beaches, tropical climate, and famously laid-back lifestyle. Never boring, the county is also home to a wide range of exciting activities, resources, and amenities. This county is a wonderful place to live for anyone looking to experience life under the sun in Florida. The largest city and county seat of Palm Beach County is West Palm Beach. The county is home 38 municipalities in all, including a number of cities, villages, and towns. 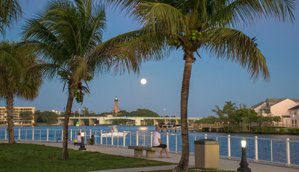 These include the towns of Jupiter, Juno Beach, and Palm Beach. As well as the villages of North Palm Beach and Tequesta. Whether by train, plane, or automobile, transportation throughout the county and is easy. The county’s incredibly convenient location places it just a short distance away from countless other opportunities for business and entertainment. Real estate in Palm Beach County offers plenty of options to potential residents, from spacious waterfront estates to cozy and affordable townhouses. Many of these Florida homes and communities offer wonderful amenities, such as private pools, docks, tennis courts, and more. Homes in Palm Beach County also offer residents an unbeatable location, surrounded by an abundance of resources and amenities. Of course, the beautiful beaches and blue waters of Palm Beach are the county’s starring features. 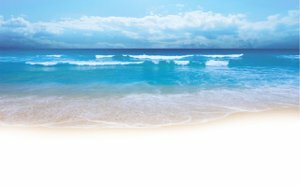 There are a number of popular beaches in the county, including Lake Worth Beach, John D. MacArthur Beach State Park, and more. Boating, surfing, and a number of watersports are all popular in the area. There is never a shortage of entertainment in Palm Beach County. The area is home to a large number of shopping malls, including high-end locations like Mizner Park and the expansive Boynton Beach Mall and Wellington Green Mall. Dining in the area shines with fresh, local seafood, but delicious cuisines of all kinds can also be easily found. The county has also long been known for its investment in the arts. From concerts to galleries to live theatre, arts thrive in Palm Beach County. There are a number of wonderful and highly popular events in Palm Beach County that are attended by residents and visitors alike. The South Florida Fair and SunFest are two of the area’s most popular, and feature plenty of ways to enjoy good food and good fun with friends. Events like these show what friendly communities Palm Beach County is home to, where there is always something to enjoy. Residents of Palm Beach County are served by the School District of Palm Beach County. This expansive school district is amongst the largest in the country, with a number of excellent schools. The county is also home to a wide range of charter schools, religious schools and other private schools. Palm Beach County is also a wonderful place for higher education, with several universities and colleges within its limits. These include Florida Atlantic University, Palm Beach State College, and several others. Palm Beach County is a huge and diverse county, with something to offer new residents from all walks of life. The county’s great schools, beautiful beaches, and vast range of amenities and resources make it a wonderful place to live. For everyone, from young families to retirees, homes in Palm Beach County could be your new perfect place to live.